Little Taylor Hayes will be buried on Saturday. 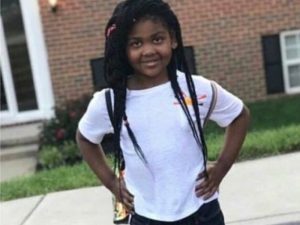 She was the seven-year-old who was shot while riding in the back seat of a car through the decaying streets of Southwest Baltimore a few weeks ago and later died. She lost her life while our country rightly struggles with the issue of how best to help those people, many of them children, who are seeking refuge and asylum from the hopelessly corrupt and viciously violent societies south of our border. Certainly, this nation always wants to be the beacon of liberty for the world’s tired and poor who yearn to breath free. This is who we are and who we have always been. But, as we prepare to say farewell to another child cut down in the crossfire of recklessly ricocheting bullets, it might do us well to remember that Baltimore City, the place where Taylor lived and died, is as dangerous a town to live in as many of the places the immigrants are fleeing from. And, while Taylor’s family, friends, and the city lay her to rest on Saturday, maybe we should ask ourselves this question: where can the children like Taylor go to seek refuge and asylum from this deathtrap called Baltimore City? Sean Tully is a Baltimore writer. He writes songs and he has written for the Arbutus Patch, Baltimore Examiner, and has had op-ed pieces appear in the Baltimore Sun. Check out his tweets. @SeanJohnTully	Contact the author.